Approval of a plan of operations submitted to the Tonto National Forest in November 2013. 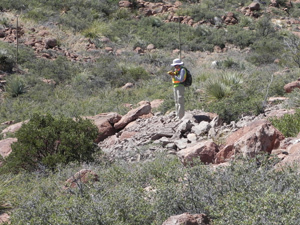 Exchange of 2,422 acres of public land (known as the Oak Flat parcel) with Resolution Copper Mining, LLC (Resolution Copper), in return for 5,376 acres elsewhere in Arizona. 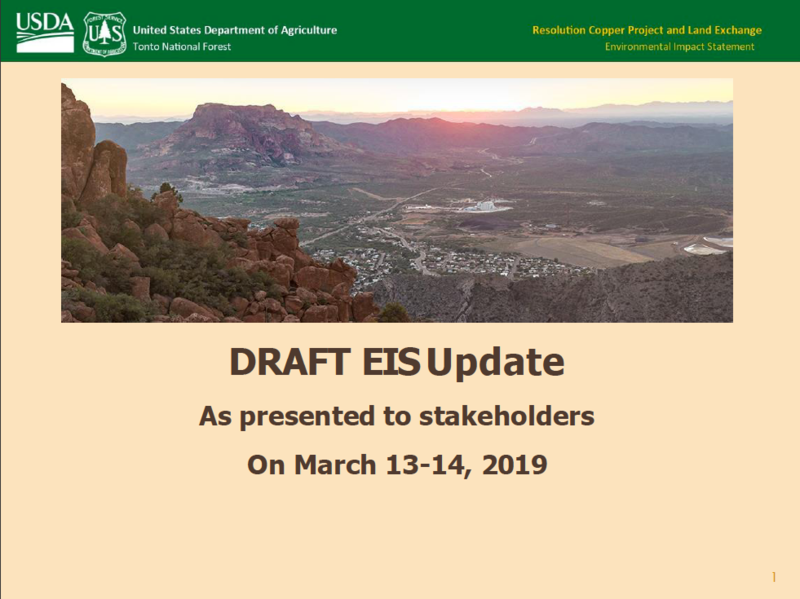 The Resolution Copper Mining General Plan of Operations proposes development of an underground copper mine located near the town of Superior, Arizona. The project would occur on a mixture of private, State and national forest lands. The Resolution Copper Project would create one of the largest copper mines in the United States, with an estimated surface disturbance of 6,951 acres (approximately 11 square miles). It would also be one of the deepest mines in the United States, with mine workings extending 7,000 feet beneath the surface. Administering financial assurance to ensure that portions of the mine facilities constructed on national forest lands are reclaimed.